Over a decade ago, our cleaning company began out of an unlikely pairing between a clean freak of an attorney and an untidy entrepreneur. Together they shared the same disappointment in the quality of cleaning services available, as well as the now irrefutable harm that toxic cleaning solutions were doing to our planet. And that’s where UMG began. Since day one our goal has been the most trusted and reliable green cleaners in Manhattan and surrounding areas, and we haven’t looked back since. 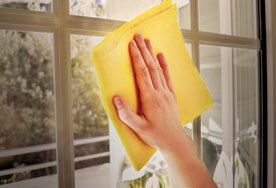 We know that there are countless options when searching for cleaning companies. Some of them have colorful cars or flashy uniforms, but you should know that these gimmicks hold no bearing on the quality of work that they provide. At UMG Cleaning, we let our work speak for itself. If you’re currently on the hunt for trustworthy services, let us give you a few reasons to choose us. We promise you won’t regret it. Your sense of smell isn’t the only thing affected by the harsh chemicals used by other cleaning companies. At UMG, we hold dearly to the fact that humanity only has one planet to call home, and our goal is, and always has been, to take care of it. Chemical cleaning products contain VOCs and other toxic substances, that when used are released into the air, leaving a sasquatch-sized carbon footprint on the environment. We just couldn’t understand why people would continue to use these solutions. Is a clean toilet really worth harming Earth? Especially when you get even better results using green products? We only use safe and eco-friendly cleaning products when providing our services, and we’re proud of it. Green cleaning is one of the staples of our company, and we’ve even been recognized by the New York Magazine as one of the “Best Green Housecleaning Services” in New York. So if you’re looking for cleaning services that not only provide squeaky clean results but also care about the environment, be sure to contact us now. Here at UMG, we’re no one-trick pony. Of course, we provide our incomparable residential and commercial cleaning, but we go beyond that. We also specialize in post-construction cleaning, letting you enjoy your new space without the hassle of cleaning up the dust and debris yourself, as well as school cleaning services, carpet cleaning, and move in/move out services. We want to provide New York with our exceptional cleaning services, from your home to the construction site. One of our core values is that of customer service. While we do provide the best quality of cleaning, we also believe that you should be in the loop with everything. It’s your residence, your business, your school that we are cleaning, therefore you should be in the know of everything that we do. We make sure to have absolute communication with each and every one of our clients. As your trusted cleaners, we firmly believe that transparency between us is evident. With an average of over 2,000 cleaning jobs per month, that goes to show you the loyalty that we have amongst our clients. One of the reasons we started our company is that we noticed a pattern amongst other housekeeping and maid services. It seemed like they’d show up, maybe mop and broom, and then rush out to cash their paycheck. Not us. Each job is of the utmost importance to us, and we won’t leave until we’re completely sure that everything has been cleaned, with no hidden messes or pile-ups of dirt to be found. We scour every nook and cranny and guarantee that you won’t find anything left behind, even if you try. So stop being disappointed with your cleaning services (or lack thereof) and their harsh chemicals. We promise that when you hire UMG Cleaning, not only will you be more than happy with the job, but you can also take pride in the fact that you’re helping take care of our planet by hiring the best green house cleaning company in New York. 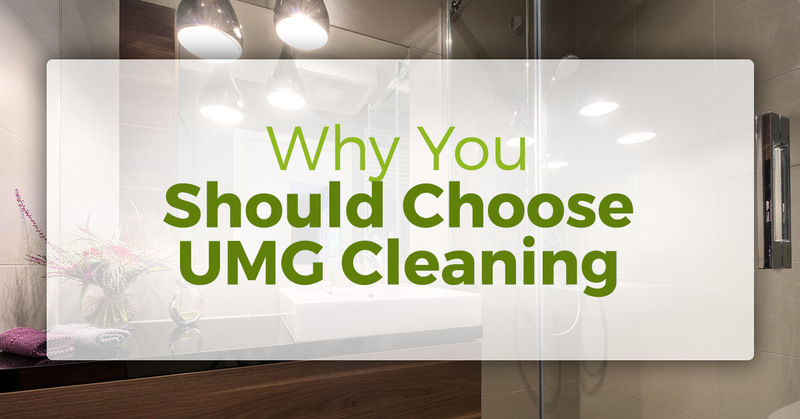 Whether you’re moving out and need the place spotless to get your down payment back, or just need us for weekly cleaning services at your home, you won’t regret hiring UMG Cleaning. Be sure to contact us today!